The time Nashville fans have been waiting for is finally upon us! 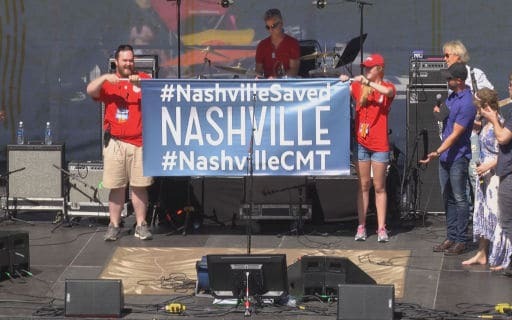 This morning, CMT announced the official premiere date for several different series, including fan favorite Nashville, which will make it’s CMT debut in January. Produced by Lionsgate, ABC Studios and Opry Entertainment, “Nashville” makes its triumphant season five debut on CMT with Ed Zwick and Marshall Herskovitz (the creators of “Thirtysomething”) at the helm, returning with a special two-hour premiere on Thursday, January 5 at 9pm ET/PT. This is the day fans have been waiting for since ABC unceremoniously dumped the show back in May. On a side note, if you missed seasons 1 through 4 of Nashville, AXS TV will be carrying those. Season 4 will premiere exclusively on the cable network beginning Saturday, October 1, at 9pE/6pP. The network will air back-to-back episodes every Saturday night at 9pE and 10pE, with encores following immediately after. AXS TV is, according to a press release, the exclusive broadcast home to the first four seasons of the Emmy®-nominated production. You can check out the full press release about all the new shows coming to CMT on the next page.